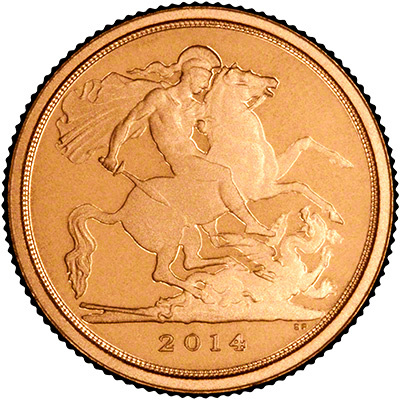 The 2014 sovereign family features the traditional St. George and Dragon design by Benedetto Pistrucci. The proof version was received into stock during December 2013. Priced at £109 it is £6 cheaper buying from Chard than buying from The Royal Mint. 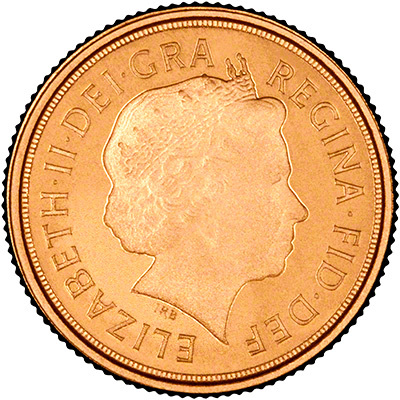 Only five weeks after we purchased our coins, The Royal Mint have decided to reduce their prices, from £115 to £110. We are still slightly cheaper but we are making almost no profit on this coin. As you can imagine, both customers who purchased theirs at the higher price, and dealers like ourselves, are not happy with this news. The issue limit of the 2014 gold proof quarter sovereign is 4,575. Please see our 2014 British Gold 5 Coin Sovereign Proof Sets for further news. 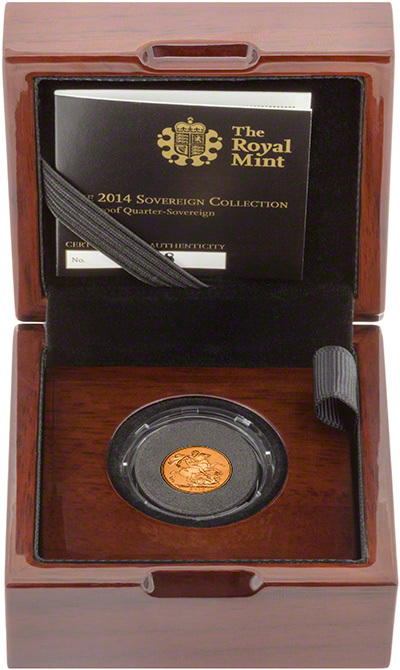 We also have the 2014 sovereign available in both uncirculated and proof and the proof half sovereign. When compared to the Royal Mint price of £115.00 you will make a saving of £6.00 per item when ordering from us.